No, no. 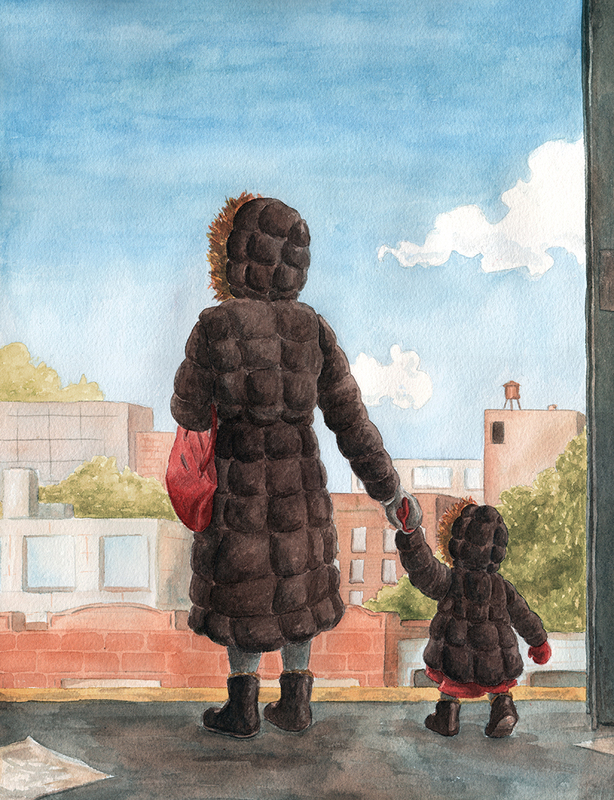 I don’t actually have any work in The New Yorker … yet. But I did create this piece that I submitted as a possible cover. This piece was one of the final illustrations I created while working with Daniel Fishel for a semester (the other final illustration was my Katy Perry piece). My work both conceptually and technically took a huge leap forward while working with Daniel and I am eager to start doing more editorial work as a result. As per usual, this piece is available as a print and I have also added a few new original paintings to my shop. Oh, and for fun, I mocked this up as though it was a real The New Yorker cover. The many personalities of Katy Perry! I don’t do a lot of portraiture, but I have to say that this piece was super fun; I really enjoyed recreating her crazy outfits. 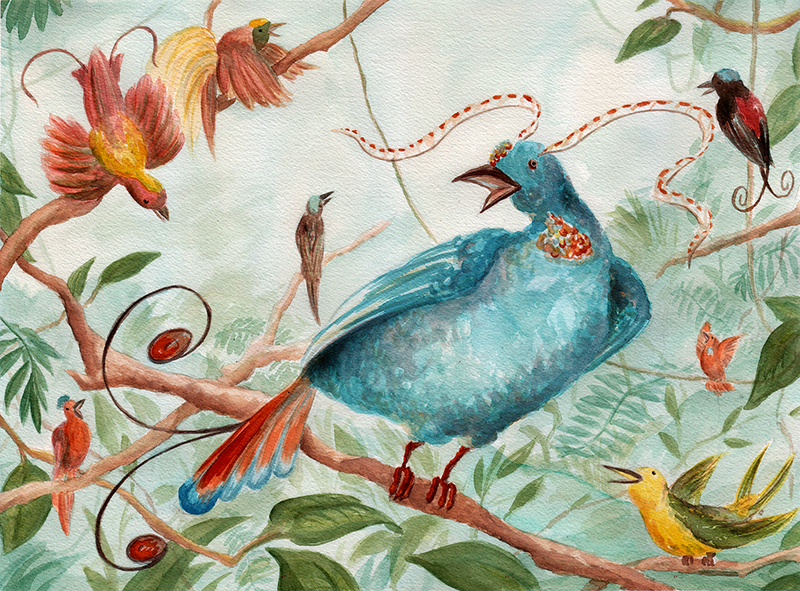 Along with the Katy Perry piece, I recently painted an illustration exploring the concept of “bells and whistles” and I decided to feature some birds of paradise, including one very large, very made-up bird of paradise. As always, prints are available of these pieces in my print shop. I bet those birds of paradise would make a great holiday gift for an art and/or bird-lover (hint, hint). Earlier this year, I worked with the wonderful people at Acavano to create a whiteboard video that introduces their product. On November 14th, the company got a bit of press over at CNBC and I thought I would share the video with you directly.